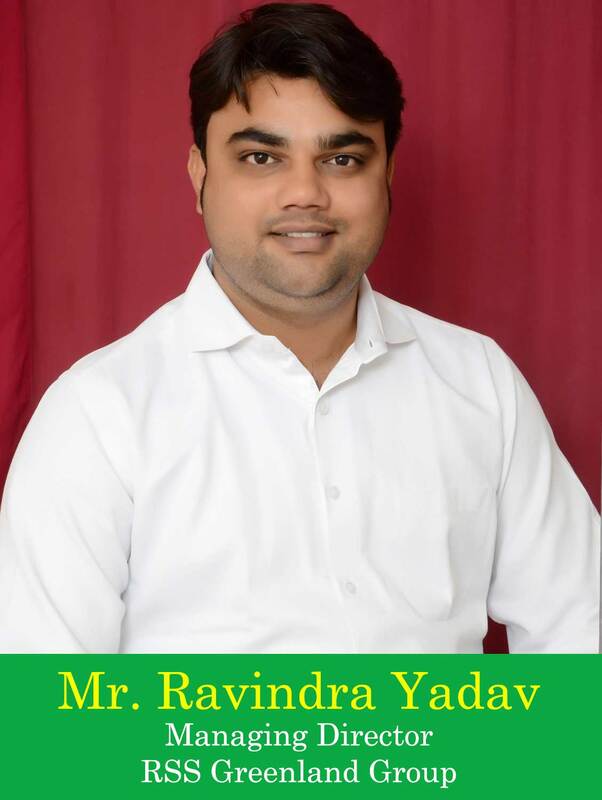 The life of Mr. Ravindra Yadav is the shining example of today’s emerging India. It is the success story of a middle-class boy who, without much resources, built a legacy of business environment and took it to the highest global standards. And his journey continues.His dedication of his team has led to RSS Group,Being at the top of india real estate industry . Being a builder is not just about putting up concrete structures, collecting money and making the balance sheets grow in figures and numbers. Rather, It is about shouldering a much larger social responsibility wherein a person's life earnings are at stake for a shelter of his dreams or a commercial base to flourish. The Rss Group is a renowned name in the Educational,Electronics,Fabrications and Real Estate industry and possesses immense potential to rise and shine in all their divisions.The Rss Group comprises of the following operating companies namely-RK CONSTRUCTIONS, USHA FABRICATORS, RK MEMORIAL, LAXMI ENTERPRISES, RSS GREENLAND.Our organization would first like to become a better member of the society before becoming the World's best construction company. We should be careful in looking at the welfare of every worker and laborer for it is they who construct our houses brick by brick. We should also not forget about our planet, that has permitted us to live on it. Thus, our buildings should be environment friendly causing least burden on the natural resources. Your message to anyone wishing to join your company?